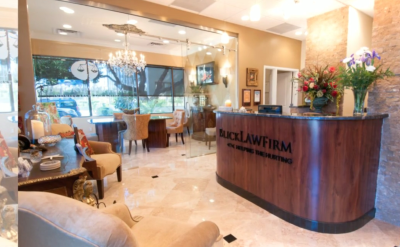 Blick Law Firm has become a staple of the Tampa community and strives to work with area businesses and medical professionals to provide their clients with the best local care and services. The law firm, under direction of owner and principal attorney Michael C. Blickensderfer, provides a wide range of personal injury services, bankruptcy, criminal and DUI services, wills, simple divorces, real estate law, foreclosure defense, short sale, as well as title insurance services. 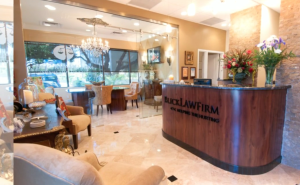 After 28 years in the legal field and a long-time focus on personal injury litigation and claims, Mr. Blickensderfer and his staff have created strong relationships with Tampa’s medical community, to provide their clients with excellent and convenient care during a personal injury matter. Dr. Mang’s Chiropractic and Acupuncture Clinic was established in Tampa in 1999, and has been providing preventative care, pain management, chiropractic, acupuncture, manual therapy, rehabilitation, physical therapy, personalized screening, and risk assessment services to Tampa and Central Florida patients ever since. The Chiropractic and Acupuncture Clinic is equipped with low level laser therapy, digital x-ray, decompression traction table, hydrotherapy, and full spinal rehabilitation facilities to help patients recover from the damaging effects of automobile accident injuries, personal injuries, or sports-related injuries. Blick Law Firm recognizes and respects Dr. Mang’s mission to focus on patients’ health and well being above all else. In addition to dedication to patients’ recovery, Dr. Mang’s knowledgeable staff and state-of-the-art equipment create the perfect atmosphere for patients suffering from injury to recuperate and heal—all in the Tampa area! Whether your personal injury is caused from a slip or fall, an auto accident, slip or fall, or other circumstance, Blick Law Firm and Dr. Mang’s Chiropractic and Acupuncture Clinic understand that your legal counsel and representation and medical assistance are of the utmost importance. Acting quickly in the case of accident-related, life-altering injuries improves your chances of healing and receiving the compensation you deserve. If you have not taken action on your personal injury due to the fault of another or in an accident, call Blick Law Firm at 888-973-2776 or visit www.blicklawfirm.com for a free consultation today! Specializing in immigration, personal injury, criminal, and real estate law, Blick Law Firm proudly serves clients in the Bay area and across the entire state of Florida with their legal expertise. Owner and principal lawyer Michael C. Blickensderfer has over 25 years of experience in Florida, New York, and New Jersey in a broad range of legal practice areas, including: criminal law, DUI/traffic law, real estate transactions, loan modifications, short sales, foreclosure defense, bankruptcy, title insurance, real estate litigation and personal injury. The law firm’s personal injury services cover auto accidents, motorcycle accidents, slips and falls, premises liability, dog bites, marine and aviation accidents, and wrongful death. “We really go beyond being just a law firm, and try helping people in many areas of their lives,” Michael Blickensderfer said. “We truly feel that we are blessed to be positioned to help clients and people in various areas of need and trouble, servicing them not only with our legal services, but to provide them Christian counseling and guidance,” he said. In addition to providing legal advice and Christian guidance, Blick Law Firm has created a reputation for providing exceptional service to its clients and visitors. The staff remains up-to-date on legal news and reform in their respective areas of practice to ensure clients receive the most accurate advice and informed service in the industry. Known for being accommodating and understanding, Blick Law Firm invites clients to call the office or visit the firm’s Gunn Highway (Tampa) location anytime to speak one-on-one with a legal expert. 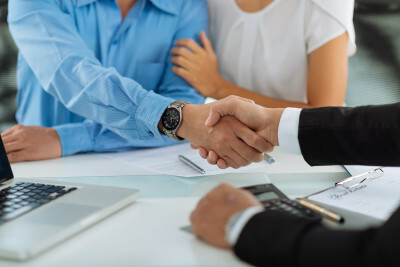 If a client is unable to come into the office, due to injury or other limitation, the Blick Law Firm staff happily accommodates clients to serve them in the way that is most convenient for them. To learn more about Blick Law Firm, their services, and history, visit Blick Law Firm, and remain up-to-date with the firm’s news by following their social media accounts. 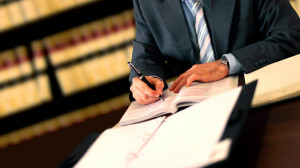 There is no law stating that you must hire a personal injury attorney. Technically, you can file an injury claim against an insurance agency on your own. But, a personal injury attorney has the knowledge and experience to go head-to-head with big insurance companies and their teams of lawyers. In cases where you have suffered serious injuries, faced expensive medical bills, and/or experienced a significant loss of wages due to injury, insurance company lawyers will work to reduce the compensation you receive or deny the claim altogether. A personal injury attorney will serve as your personal advocate throughout the entire claim process, where your money, ability to work, and quality of life may be on the line. A personal injury attorney works with each medical professional you have consulted to determine the type of injury you’ve sustained from the accident, the length of time it will take or has taken you to fully recover, and the cost of the medical bills you will face. Having this knowledge and a working relationship with your medical care providers will help your attorney to protect you from an insurance company’s disputing liability or refusal to pay for damages. It is important to hire a personal injury attorney soon after your accident to begin the claims process as soon as possible and better your chances of winning the settlement you deserve. But, it is also important to find the attorney who is right for you. An ideal personal injury attorney is one who is experienced and dedicated, and whom you are comfortable with. Begin your search by looking for attorneys who specialize in personal injury, which will ensure experience and some sort of reputation with personal injury cases. If your injuries are the result of a car accident, be sure to choose an attorney who has experience representing individuals who have suffered injuries specifically related to car crashes. It is important to note that not all personal injury attorneys have experience with cases that involve car accidents. No matter how much experience an attorney has, if he or she cannot dedicate the time and effort you deserve to your case, they aren’t the right attorney for you. Look at the attorney’s case load and consider how open and willing to communicate the attorney has been with you up until that point. If you are unsure or uncomfortable with a specific attorney, your claim process will be made all the more stressful. At the end of the day, your instincts are just as important as the attorney’s experience and reputation. Blick Law Firm understands the importance of acting quickly in the event of a personal injury, whether from an auto or boating accident, slip or fall, or medical malpractice. For proper representation and treatment during your personal injury case, call Blick Law Firm today at 888-973-2776!